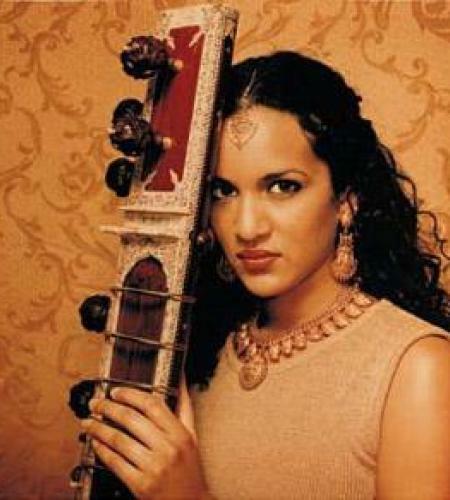 Anoushka Shankar is the British born daughter of Ravi Shankar--of Beatles fame-- and half sister of jazz singer Norah Jones. 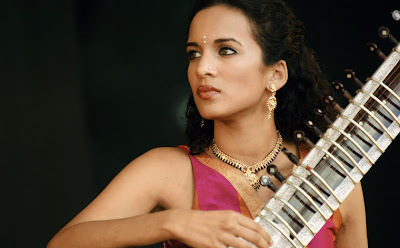 Anoushka is an accomplished sitar player like her father and is well known internationally. She is an avid supporter of PETA and spokesperson for the United Nations World Food Programme in India. She was nominated Woman of the year in 2003 and recently became a mum. Not only is she accomplished she is absolutely gorgeous and a wonderful role model for E. Indian women every where especially since she is not the typical light skinned Indian that that country tends to promote. Enjoy the sounds of Anoushka. Happy Monday! 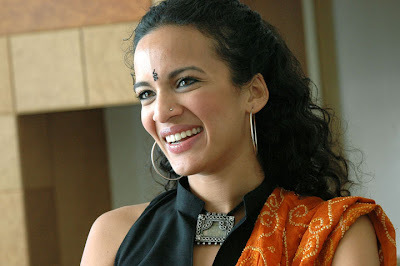 2 comments on "Beauty of the Week-- Anoushka Shankar"